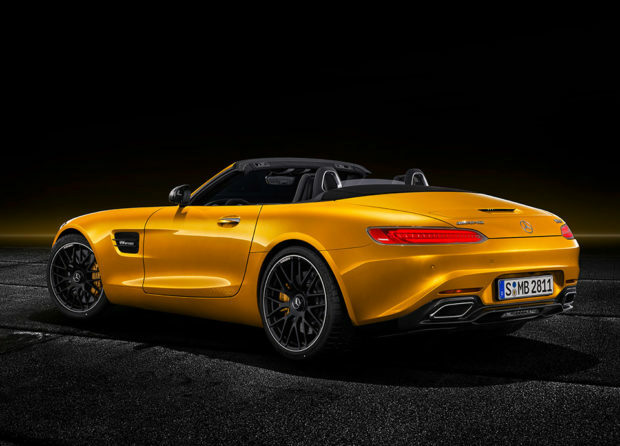 The Mercedes AMG GT series is one of my favorite two-seaters on the road today. 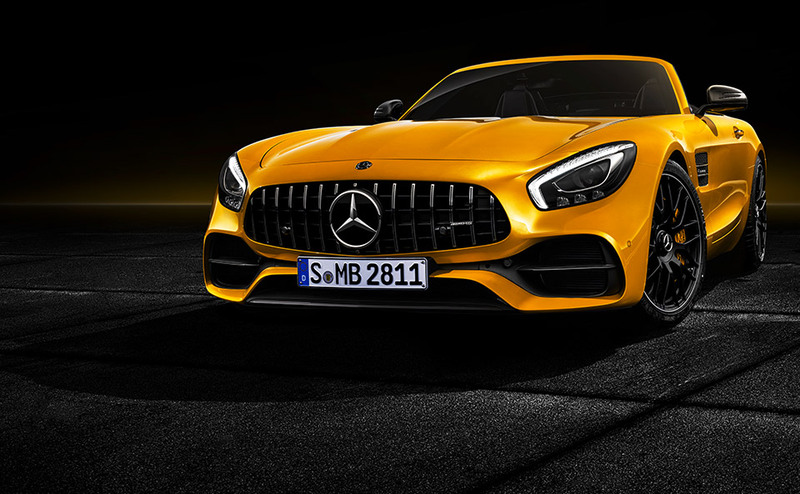 I’ve spent a little time behind the wheel of the AMG GT S, pushing it around the circuit at Road America, and it was quite an impressive car. Since that time, AMG has outed the super powerful AMG GT R, which I’d love to toss about on the track someday too. But for days when aren’t on the track, I think a convertible is the way to go. 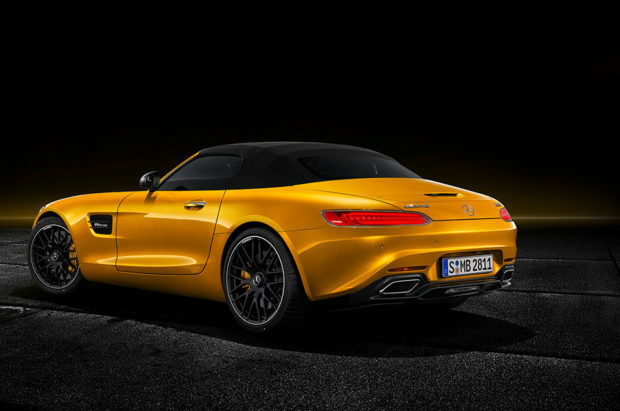 So I’m excited to hear that there’s a drop-top variant of the AMG GT S on the way now. 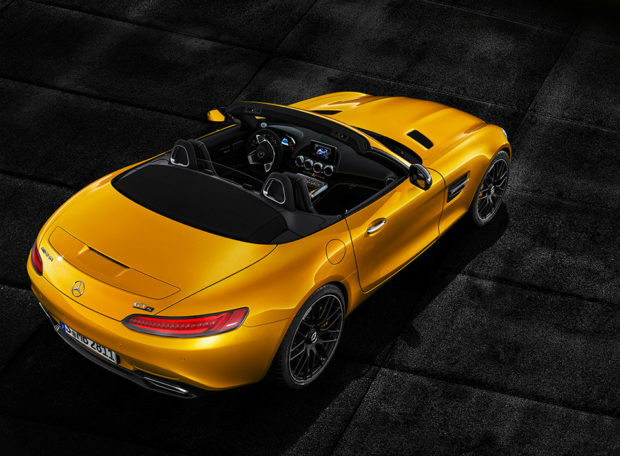 The AMG GT S packs an impressive 515 horsepower and makes 494 lb-ft. of torque between 1900 and 5000 rpm. 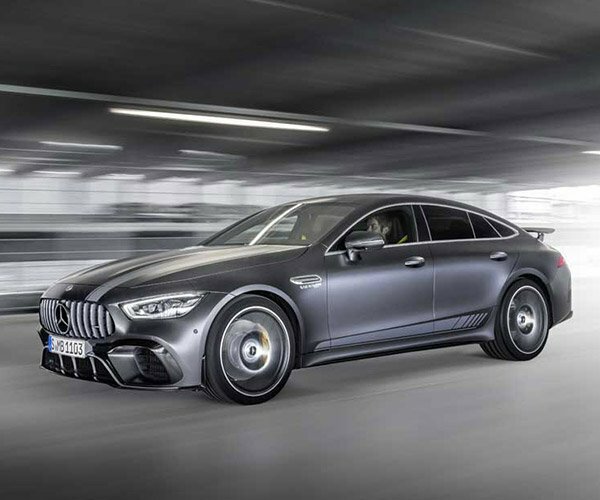 Combined with a 7-speed dual-clutch automatic gearbox, the car can zoom from 0-to-60 mph in about 3.7 seconds on its way to a 192 mph top speed. The roadster also gets electronically-controlled adaptive damping, an electronic limited-slip rear differential, both of which should improve handling and cornering. It also rocks a performance exhaust system with variable output when you want to crank up the noise, or dial it down to a dull roar. Stopping comes courtesy of 15.4″ and 14.2″ composite performance brakes, which can be upgraded to AMG carbon ceramics if you feel like dropping another several thousand bucks, I’m sure. 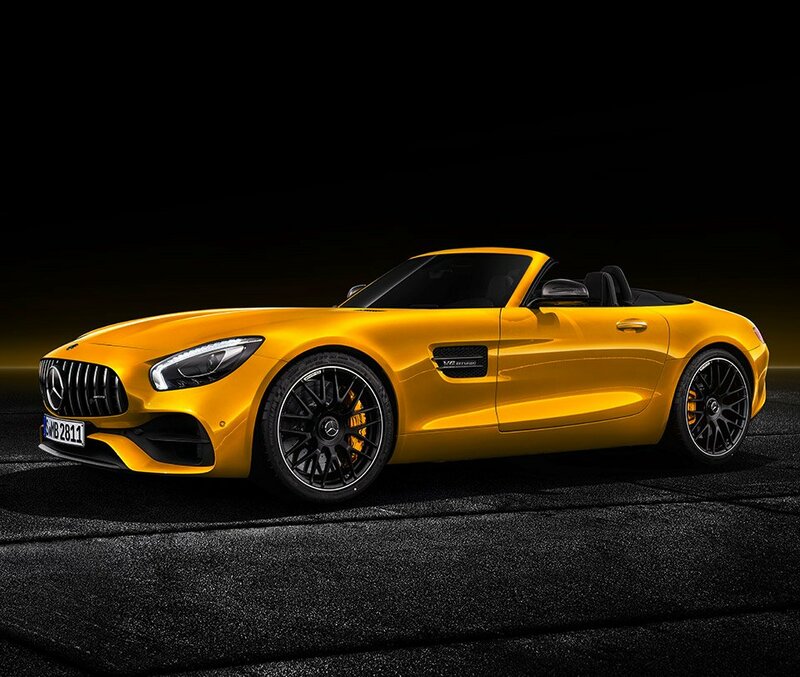 Mercedes-AMG has yet to release pricing for the AMG GT S Roadster, but I’d guess it’ll come in somewhere around $140,000, sandwiching it between the $124,400 GT Roadster and the $157,000 GT C Roadster.